It’s the end of the year and I’d like to thank all who have helped us in 2017. My team and I have been working really hard in the past 12 months to make ClassADrivers.com an even more helpful resource for truck drivers. We have studied we have listened and we have reached out to experts to get feedback and tips. We all realize that there is more to do in 2018 and I’d like to share a few high-level projects that we will be working on and implementing. In addition I also realize that there is much more for me and my team to learn. Please feel free to text me your ideas at 310.270.3290 – I am committed to hear everyone and if the experience on the site is poor I’d like to have a chance to discuss that and make it up to you one way or another. I’ll also be at MATS in Louisville KY – So let me know if you happen to be there and let’s meet up. A few users have mentioned that they need more choice when it comes to picking and choosing which companies to send their applications to. These users don’t like that the current application system automatically sends their profiles to all matching companies in the area. On ClassADrivers.com we do already provide the choice to pick the company when submitting an application for a single specific job or to a single specific company. However we don’t currently provide the same experience when a user registers through the General Application link. For the General Application the system has been built to match truck drivers in need with as many companies as possible. This has been designed for users who are in dire need to get on the road ASAP. We have heard many moving stories of those who need work quickly because they have been evicted or have experienced a life-changing event. A few users have been reporting issues with this system however as a few companies are calling them repeatedly and continuously. We are aware of these issues and are committed to improving the experience. a) We are changing the General Application system. As of next week we will be able to cap the total number of applications sent to a maximum of 20 companies. 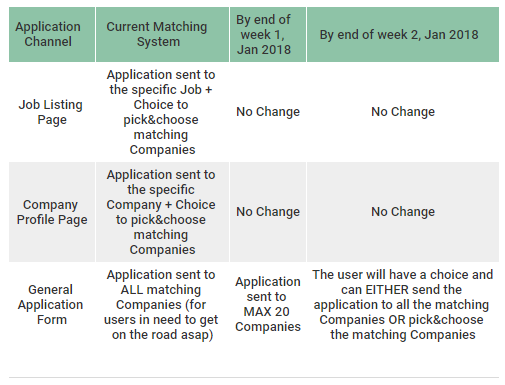 And by mid-January we will be able to let the user decide whether to send his/her application to all matching companies (for users in need) or to handpick the companies (for users who prefer to pick and choose). The choice will be yours. 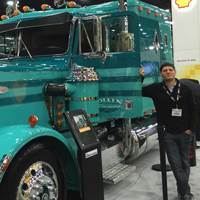 b) We are reaching out to trucking companies to ask for more respect for truck drivers. For example we ask that they avoid calling candidates on Christmas day. We currently have over 200 companies on the site. Some users have asked to see even more. We are committed to doing that and we will be working to bring you even more options. Stay tuned. We have many more activities and things that are coming out soon. We are committed to helping new drivers successfully enter trucking and to alleviating the shortage issue that’s plaguing the industry. Thanks to all for the continued help and support. Again please reach out to me to let me know your thoughts and ideas. I do appreciate you taking the time to help.